Do you work in Microsoft Excel? Do you want to be better at it? 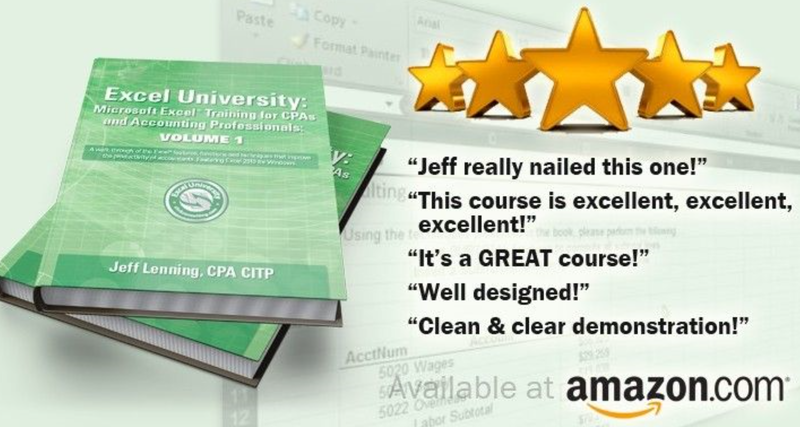 CPA or not, learning Excel allows you to do more, in less time and effort, with Microsoft Excel. And good for you, our business associate knows Excel like a seasoned Excel programmer, he is also one of the top Excel instructors that offers CPE’s to CPA’s. If you need to meet your quota of CPE’s, or if you just want to get better in MS Excel, here is your chance to do so, for free. 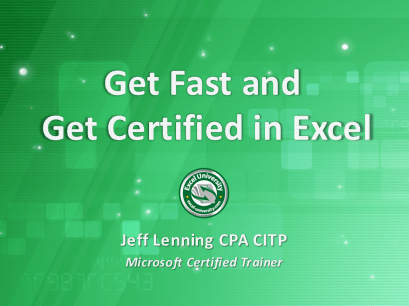 Get Faster and Get Certified in Microsoft Excel, with the help of one of Excel’s top CPA’s, Jeff lenning. 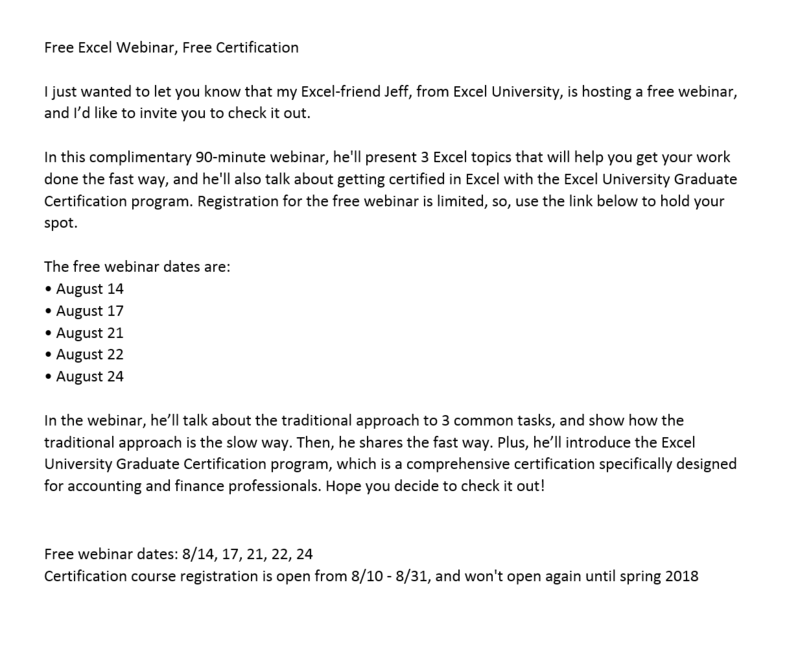 In this complimentary 90-minute webinar, Jeff will present 3 Excel topics that will help you get your work done the fast way, and I’ll also talk about getting certified in Excel with the Excel University Graduate Certification program. Posted on August 4, 2017 Posted in Blog Category and tagged Free, Accounting, Excel, Webinar, Contact.